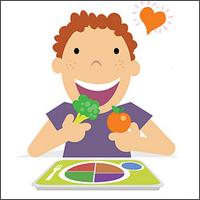 On July 21, 2016, the Obama Administration announced four final rules that implement important provisions of the Healthy, Hunger-Free Kids Act (HHFKA) building on the progress schools across the country have already made in the improved nutritional quality of meals served in schools. The four are Smart Snacks in School, Local School Wellness Policy, Community Eligibility Provision (CEP), and the Administrative Review final rules. As a key component of First Lady Michelle Obama’s Let’s Move! initiative to raise a healthier generation, the rules will ensure that children have access to healthy snacks and that nutrition standards for the foods marketed and served in schools are consistent. The rules will also promote integrity across the school meals programs. The Oregon Dairy and Nutrition Council has a job opening for a Manager of School Programs, who will lead the planning, implementation and evaluation of Oregon’s Fuel Up to Play 60 program. The selected candidate will possess the ability to develop strong, collaborative working relationships with internal and external contacts, including key influencers within the school setting. The position is opened until filled. Please visit the ODN Council Employment page for details and application. A full job description is also available as a PDF download.